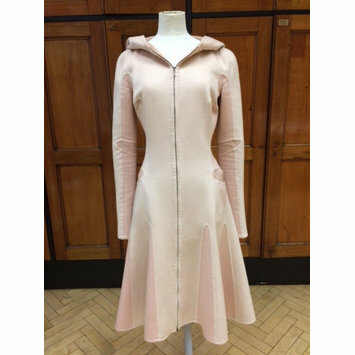 Cashmere coat with hood, made from thick double-sided cashmere in pale pink and rose-beige, darker pink panels and inset gussets. 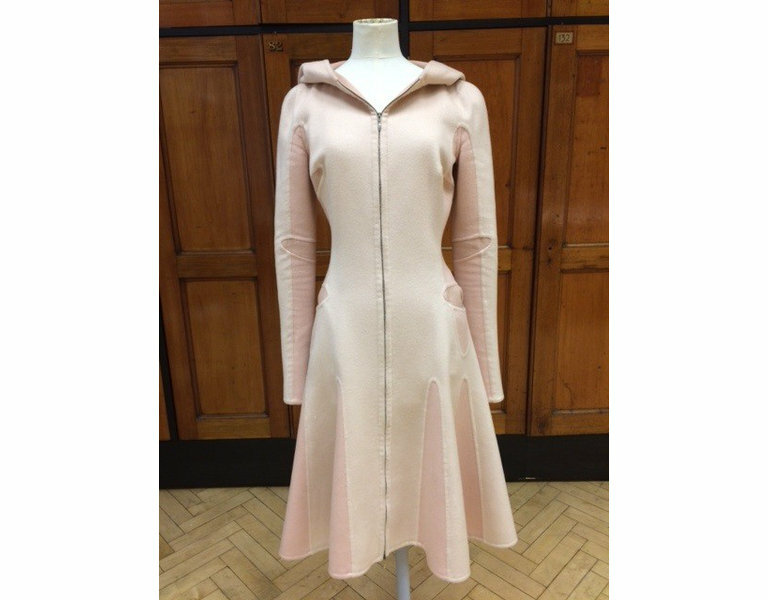 The coat pieced together with contrasting tones and colours, long tight sleeves with zips up forearms, metal zip down centre front. 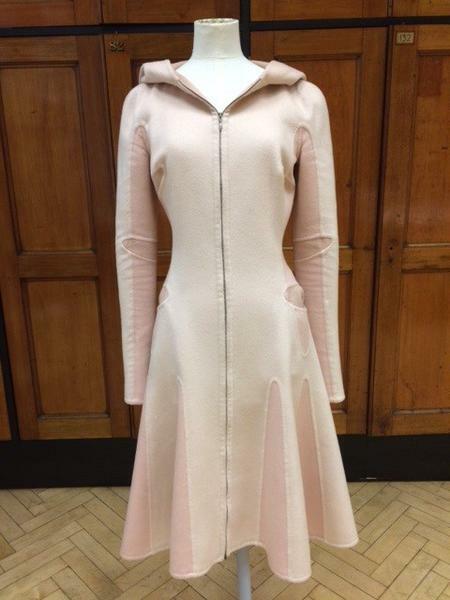 Coat, 'Supercalifragilisticexpialidocious,' Alexander McQueen, Autumn/Winter 2002.